A team at the University of Bern in Switzerland has developed a robot which performs many of the tasks in cochlear implant surgery. 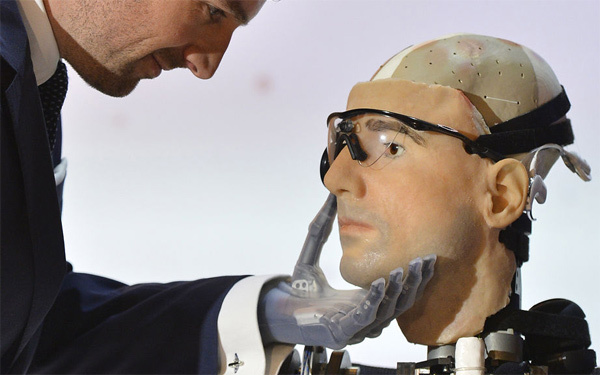 Humanoid robot Rex, currently visiting the London Science Museum, sports a pair of cochlear implants among many other technological marvels. Since there is nothing biological about him (it), he isn’t truly bionic. Read for yourself, and decide whether he falls into the bionic or robotic category. 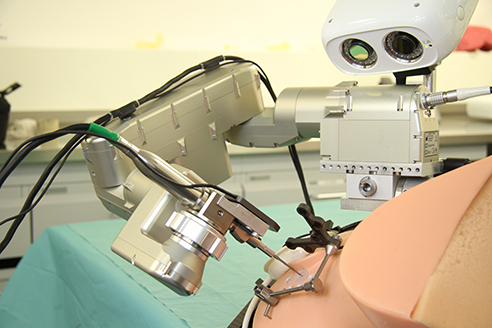 There have been many advances in robotic surgery in the past decade. These robots are controlled by surgeons, and have better fine motor control than an unassisted surgeon looking through a microscope. The promise of robotic cochlear implant surgery includes better electrode array placement, less invasive surgery, and reduced damage to residual hearing.